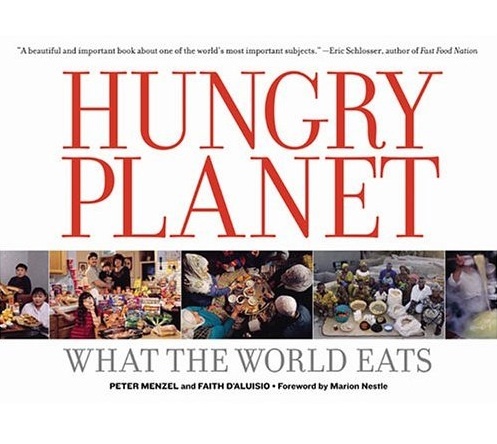 In Hungry Planet, Peter Menzel and Faith D'Aluisio (the creative team behind the bestselling Material World books) present a photographic study of families from around the world, revealing what people eat during the course of one week. Each family's profile includes a detailed description of its weekly food purchases; photographs of the family at home, in the market, and in the community; and a portrait of the entire family surrounded by a week's worth of groceries. To assemble this remarkable comparison, Menzel and D'Aluisio traveled to 24 countries and visited 30 families from Bhutan and Bosnia to Mexico and Mongolia.